Summer is rapidly approaching. 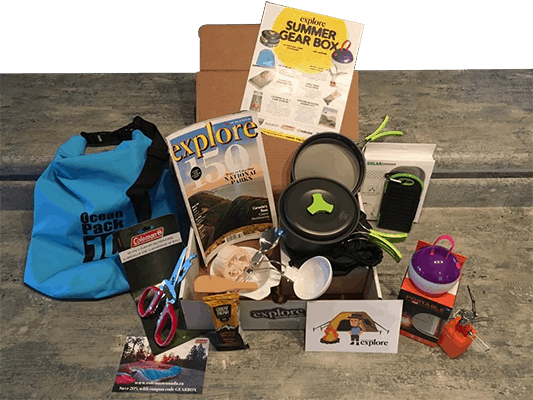 As soon as any warmth lingers in the air, the great outdoors broadcasts a siren call to adventure-lovers. 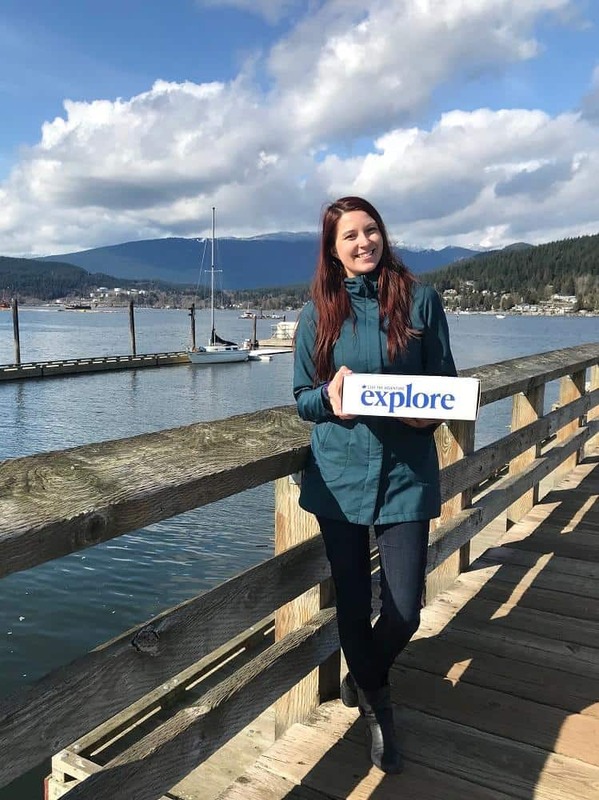 British Columbia is a gorgeous location to spend a week or weekend camping in the great outdoors. 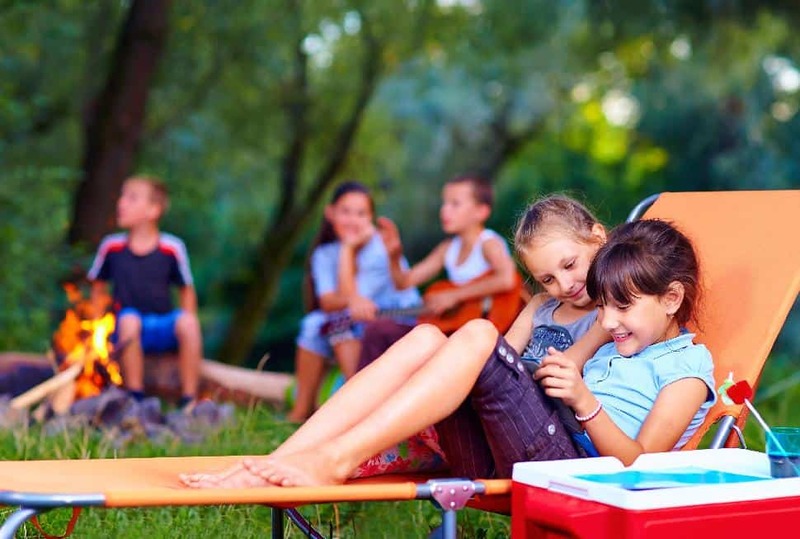 Travellers plan their trips weeks, if not months in advance to ensure they secure a campsite. If you haven't yet thought ahead about doing so, we're here to inspire and inform you. Did you know that beyond private and provincially operated campgrounds, there are a number of free campsites? We can't guarantee all will be as manicured as a private campground or even conveniently located (in fact some are well off the grid), but we can promise that they are totally free. If you're after an untouched fishing hole, the serenity of the deep woods or just a thrifty 'staycation,' then set your GPS to one of these campsites in B.C. Want to see where these rank against Canada's greatest campsites? Site overview: Five campsites are available at a beautiful location where Quinn Creek meets the Bull River. Amenities: Tables and toilets are available. Additional information: Fishing and hiking are also available at this location. Site overview: There are three campsites available at this remote location on the northeast side of Abbott Lake. You’ll need a 4x4 vehicle, and only tents and truck campers will be able to make it in. Amenities: There are tables and toilets available. Site address: Situated northwest of Merritt, take the Tyner Lake Forest Service Road to get to this site. Additional information: This is also a great location for fishing and canoeing. Site overview: There are two campsites available at this small lake west of Summerland. Amenities: There are tables available. Site address: Travel west from Summerland on the Princeton-Summerland Road. Turn southwest onto the Bathville Road and drive for about 12.6 kilometres. Turn southeast on the Agur Lake Forest Service Road and drive about 3.3 kilometres to the site access road. Additional information: Agur Lake is small and marshy, with a forest nearby. This area is also good for fishing. Site overview: There are two campsites available at this location, set on a small fishing lake. Amenities: There is a boat launch and toilets available for campers. Additional information: This camping location is ideally positioned to access other fishing lakes in the area. Site overview: There are five campsites available at this popular location. Fishermen and those coming to access the day-use area make this family-friendly site the place to be. Amenities: There are tables and toilets available, as well as a car-top boat launch (ex: canoes and kayaks). Site address: Starting at Alexis Creek, head west on Highway 20 and drive for about 10 kilometres. Make a right-hand turn onto the Alexis Creek Nazko Road, also known as the Alexis Lakes Road. Continue on that road for about 24.5 kilometres and then turn right onto the access road. Drive for about 1.3 kilometres and then turn left into the recreation site. Additional information: There is a great sandy beach here for swimming, but boaters should note that powerboats are forbidden. Electric motors are allowed. Site overview: There are six campsites available at this location, which is popular for camping and fishing. Amenities: There is a boat launch, tables and toilets. Site address: From Kamloops, head west down the Westsyde Road, until you hit the turn off to the Jamieson Creek Forest Service Road. Turn onto this road and drive about 45 kilometres until you reach the turn off at Allan Lake. Additional information: This campsite is set on the Bonaparte plateau. This higher-elevation campground is great for getting out of the summer heat. Site overview: There are six campsites available at this location. Amenities: At Allendale Lake, there is a boat launch, tables and toilets available for campers. Additional information: This is a wonderful fishing location. Site overview: There are five campsites available at this rustic, yet popular, destination. Amenities: Tables and toilets are available on the grounds. Site address: From Yahk, head east on Highway 3. You’ll cross a bridge and then take the first road to the right. Take this road for nine kilometres, to the recreation site on the right. This road is fine for two-wheel drive vehicles. Additional information: This campground is popular and is well known for its good trout fishing. The road leading to the campground is an active hauling road; would-be campers should drive carefully and keep their headlights on. Site overview: There are only two campsites available at this small location, situated on the south shore of the lake. Amenities: This site boasts a boat launch, tables and toilets. Site address: Andy’s Lake campsite is situated southwest of Brookmere. Take the Thynne Mountain Forest Service Road to get there. Additional information: In the winter, campers can enjoy snowmobiling at this location. Site overview: There are three campsites available at this popular location. Amenities: There are tables and toilets for campers to utilize. Site address: This site is situated south of Logan Lake and north of Dot Lake. You’ll need a 4x4 vehicle to access the campground. Additional information: This recreation site is popular for campers, fishermen and hunters. There are two camping spots that you can drive to, but they are not situated by the lake. The third site will require campers to hike in about 400 metres, but it is next to the lake. Any boats will need to be carried in. Site overview: There are three campsites at this hike-in campground. Amenities: Campers can make use of the tables and toilets at this location. Site address: Starting at Powell River, head north on Highway 101. Turn right on Wilde Road, a gravel road, and follow that for about nine kilometres. Go past Sliammon Lake and there will be a trailhead sign on the left. Additional information: This is a hike-in location and campers will have to cross a bridge to get to the site. Site overview: There are three campsites available at this location. Amenities: Campers can enjoy a rough car-top boat launch, as well as tables and toilets at this site. Site address: Take Highway 97 from outside Falkland (nearest community to the campsite) to the Bolean Forest Service Road. Additional information: This well-treed site offers excellent fishing. Site overview: There are seven campsites at this small, well-treed location. Amenities: Campers can enjoy a boat launch, tables and toilets. Site address: Take Highway 97 to Lumby; take the Mabel Lake Road and then turn onto the Trinity Valley Road. Make another turn onto the Hidden Lake Forest Service Road and follow that to the site. Additional information: This camping location is great for small car-top boats and canoes, and is well-known for its fishing. There’s easy access into this site. Site overview: There are 10 campsites available at this beautiful, secluded location. Amenities: There are toilets and tables available for campers. Site address: Starting at the bridge along Highway 6, outside Silverton, head south for about 4.5 kilometres. Turn right when you come to the sign for Bannock Point Trail. There is designated parking. Additional information: Bannock Point sits on the shore of Slocan Lake. To access the camping spots, you’ll need to take a 700-metre trail into the location. There is a small pebble beach and ample boulders for sun tanning. Campers can also swim in the beautiful lake and you can access this site by boat, starting out at the public boat launch in Silverton and travelling south along the east shore of the lake. Site overview: There are three campsites available on this small fishing lake. Amenities: There is a boat launch, tables and toilets for campers to utilize. Additional information: You’ll need a 4x4 vehicle to get into this site. The campground is maintained by the Vernon ATV Club. Site overview: There are four camping spots available at this location, which can be accessed by RVs. Amenities: There are tables and toilets available for campers. Site address: This site is situated northwest of Lillooet. Take Highway 99 to the Yalakom River Forest Service Road. Additional information: Campers can also bring in their horses or motorized trail bikes to use at this open, grassy campground. Site overview: There are seven campsites available at Beaverdam Lake. Amenities: Campers can utilize the boat launch, tables and toilets. Site address: Starting in Clinton, head north for about 15 kilometres on Highway 97. Make a left onto Meadow Lake Road, and follow that for about 10 kilometres to Beaverdam Lake. Additional information: Beaverdam Lake is an open, grassy campground, suitable for horseback riding. Campers can take in wonderful views of the Marble Mountain Range, as well as excellent fishing opportunities. Site overview: There are seven campsites available at this location on the north side of Becker Lake. Amenities: There is a car-top boat launch, tables and toilets available. Site address: Take Highway 6 from Lavington to Nobel Canyon Road. Then take the Coldstream Creek Forest Service Road to the Becker Forest Service Road. Additional information: This site is maintained by the Vernon ATV Club and offers excellent fishing opportunities. Site overview: There are seven campsites available at this rustic location. Amenities: Campers can utilize the boat launch, tables and toilets at this site. Site address: As of July 3, 2012, the normal access route to this site, via the Highland Valley Copper Mine, is no longer available. Now, take the Logan Lake to Ashcroft Highway (97D) near the west end of mine, and follow the road until you come to the Laura Lakes Road. Turn right. Follow this road for about seven kilometres. Turn left at Laura Lakes. Follow this road to the 14-kilometre mark to Calling Lake. From Calling Lake, drive north for another five kilometres and then turn left, which will bring you to the northeast end of the lake and the recreation site. Additional information: This campsite is rocky, treeless and can get quite windy. It sits at an elevation of about 1,504 metres, but it is highly sought after by fly fishermen. Site overview: There are only two campsites available at this gorgeous location, which is only accessible by boat. Amenities: Campers can make use of the tables and toilets on site. Site address: From the boat launch at Syringa Creek Provincial Park, travel up the Lower Arrow Lake to the first major drainage past Renata. Bowman Point is on the west side of the lake and the Bowman Point Recreation Site sign is visible from the water. Additional information: This camping site offers sheltered anchorage for boats, in the creek mouth. There is a spectacular sandy beach and the fishing is good, as well. Site overview: There are seven campsites available at this popular location. Amenities: Campers can utilize the tables, toilets and wharf available on site. Site address: Drive about 72 kilometres along Highway 40 from Lillooet until you come to the Marshall Lake Road on the right side. Drive along this road for another 74.3 kilometres and make a right-hand turn and drive another kilometre into the campsite. Additional information: Campers with small motorhomes will be able to access this campground. There are excellent fishing opportunities here, as well as the chance to see a variety of wildlife. Site overview: There are only three campsites available at this small, open location. Site address: From Clearwater, drive down TFL 18 Road 2 for about 29 kilometres and then turn right onto Road 20. Drive another eight kilometres to the site. Additional information: This site is maintained by Yellowhead Community Services. Amenities: Campers will have access to tables and toilets. Site address: Dunsapie Lake is situated along Jamieson Creek Road west of Barriere. Additional information: As of May 15, 2013, all dogs must be on a leash. This campground is popular with fishermen, and the fly fishing is especially good in the spring and fall. There’s also plenty of wildlife to see and campers enjoy taking out their kayaks or canoes. Site overview: There are seven campsites available at this location, set across multiple levels along the shore of Elbow Lake. Amenities: Campers can use the tables and toilets on site. There is no dedicated boat launch, but small boats can be launched from shore. Site address: Depart from Horsefly, drive along the 100 Road to 126 kilometres and turn right onto the 500 Road. Follow this road for about 20 kilometres. The campground has two entrances, located on the right side of the road. Additional information: This site looks over the Cariboo Mountains and offers sites with and without surrounding trees. Site overview: There are 12 sites at this location, but the open, grassy area can accommodate more people. Amenities: There is a boat launch, tables and toilets available. Site address: From the Williams Lake area, take Highway 97 and turn right onto Lynn Creek Road. Follow this road for about 8.5 kilometres and then turn onto the Forest Lake Road. The campground will be about five kilometres down this road. Additional information: This location offers sites in an open, grassy area, as well as some within the trees and further from the lakeshore. The site gets busy in May and June with fishermen, but it’s a great location to escape to during the rest of the summer. Site overview: There is only one campsite available at this small, rustic location and campers will have to hike in. Amenities: For the campers that brave the trail, there are tables and toilets to use. Site address: About 33 kilometres west of Princeton, make a right-hand turn onto the Sunday Summit Forest Service Road and drive to the 15.7-kilometre mark. Take the fork to the right and go another two kilometres to the trailhead. You’ll have to look hard, because the entrance isn’t clearly marked. The trail starts down the gulley on the left and it would be wise to bring your GPS, as the trail is not well maintained. Additional information: Although getting to this location is rough, fishermen with belly boats or kayaks are the main users. Site overview: There are three camping sites available at this popular location. Amenities: Campers can make use of the boat launch, tables and toilets on the grounds. Site address: This site is situated southeast of Chataway Lake, along Highway 8 west of Merritt. Make a right on Aberdeen Road and drive about 13.5 kilometres until you hit the Skuhun-Pimainus Forest Service Road. At about 18.7 kilometres, turn right. At 6.2 kilometres, keep to the right. At 6.6 kilometres, turn right again and continue for another 4.5 kilometres. You’ll see the lake on the right-hand side and then turn right into the site. Additional information: Although the camping spots are not overly large, this area is popular with fishermen, hunters and campers. The sites have room for small trailers, truck campers and tents. Nearby is the trailhead for the Gypsum Mountain Hiking Trail, a two-kilometre trail to the top of Gypsum Mountain. Site overview: There are three campsites available at this small, quiet location. Amenities: Campers can utilize the boat launch, tables, toilets and wharf. There are handicapped accessible facilities on site. Site address: Starting in Invermere, head north on the Westside Road for about 39.5 kilometres to the signed turn off. Continue east for two kilometres. This campground is accessible by car. Additional information: This campground is set in a pine forest. Site overview: There are six campsites available at this location, which sits on the south shore of Little Big Bar Lake. Amenities: Campers can use the boat launch, tables and toilets. Site address: From Clinton, head north on Highway 97 for about 10 kilometres. Turn west onto Big Bar Lake Road and drive for another 40 kilometres. Turn northeast onto a secondary road and follow it for two more kilometres. Turn north to get on the access road into Little Big Bar Lake. Additional information: This is an excellent fishing location. Site overview: There are two campsites available at this location, set on McCreight Lake. Site address: From Campbell River, drive north on Highway 19 for about 41 kilometres. Make a right-hand turn onto Rock Bay Road, which is a gravel road. The sign for the Alder Grove Recreation Site will be on the left. Additional information: This is a small site, set in the shade on an old rail grade. There is also a short trail that will lead you to the lakeshore. Site overview: There are five campsites available at this location. Amenities: Campers can enjoy a boat launch, tables and toilets on site. Site address: From Campbell River, head north on Highway 19 to Roberts Lake. Just before the resort, turn left and follow the signs for Blackwater Road. The Amor Lake site is about nine kilometres from the highway. Additional information: At this location, there are four campsites south of the creek, and one unit north of the creek by the boat launch. This lake boasts many small, sandy beaches and rocky inlets. Site overview: There are five camping sites available at this historic location. Amenities: Campers can enjoy the boat launch, tables and toilets. Site address: From Campbell River, drive north on Highway 19. Take a left onto the Menzies Mainline, a gravel road, and drive to the site entrance. Additional information: This campground is a grassy, open area that looks over Brewster Lake, along the Sayward Forest Canoe Route. In the past, this location was home to families living at an old logging camp. Site overview: There are six campsites available at this location, which is maintained by the Hupacasath First Nation. Amenities: Campers can utilize the boat launch, tables and toilets available. Site address: From Port Alberni, cross over the Somass River on Highway 4, heading towards Tofino. Take your first left and follow that road to the Canal Main forest road. Drive about 17.5 kilometres and the site will be on the left. The entrance will be right before the bridge over Arden Creek. Additional information: This is a hidden, treed site that sits on the shore of Alberni Inlet. There are two camping pads that you can walk to, and four vehicle pads. This location is too rugged for motorhomes. Site overview: There are 12 campsites available at this scenic location. Site address: From Port McNeill, drive southeast for about 46 kilometres along Highway 19. Make a left across from the Zeballos turnoff, cross the railway bridge and keep to the left. Drive for another 14 kilometres and turn left at the camping sign. Additional information: Bonanza Lake has a sandy beach and is stocked with rainbow trout. The lake can sometimes be windy, and in the past has been used by windsurfers. Site overview: There are six campsites at this recently improved campground. Amenities: Campers can utilize the boat launch, tables and toilets on site. Site address: From Campbell River, head north on Highway 19 and then to Menzies Mainline. The site is along this road. 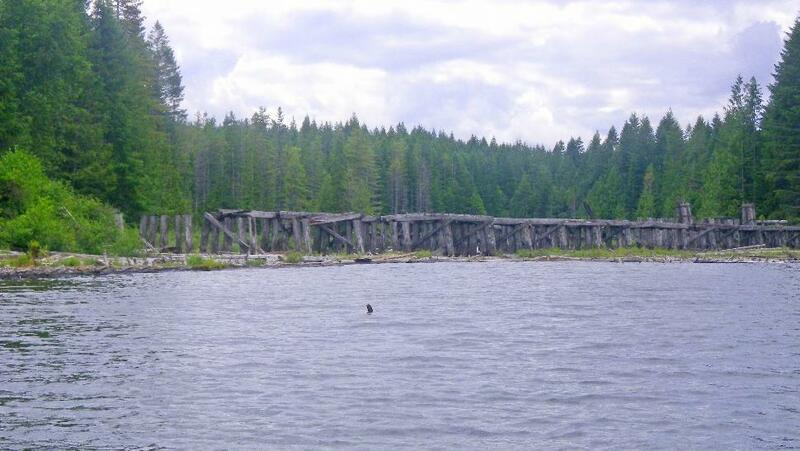 Additional information: This site is great for swimming and the remains of a trestle bridge add a lot of historic character. 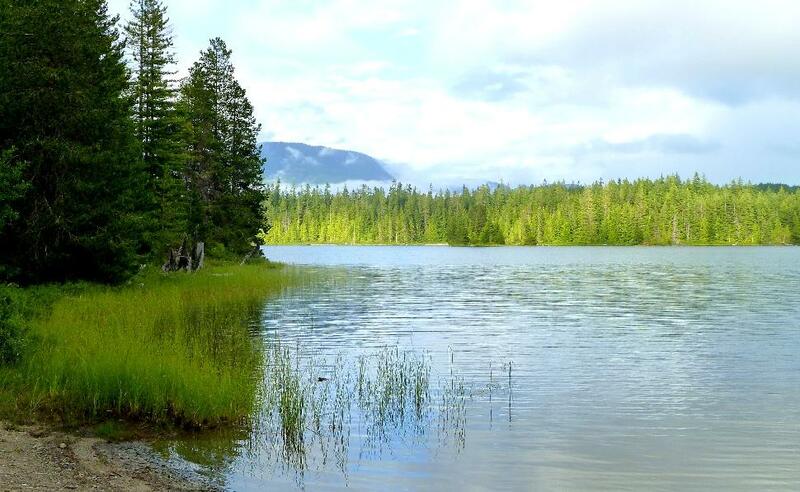 Site overview: Six campsites are available at this location on the north shore of Quesnel Lake. Amenities: A boat launch, tables and toilets are available. Site address: From the town of Likely, follow the Cariboo River Road and turn right up the hill on Spanish Lake Road. Follow this for about 17 kilometres and then turn right and follow this road to the end. Additional information: Most of the sites are set back from the water, in the trees. There is a large gravel beach, and 4x4 might come in handy if you’re launching a boat. If you’re only looking to launch your boat, and not camp, please park in the upper parking area rather than at a campsite. Site overview: There are 25 campsites available at this well-maintained location. Amenities: There is a boat launch, tables, pit toilets and fire rings available, as well as camping pads. Additional information: This facility has undergone upgrades recently, and upgrades to the boat launch are also being looked at for the future. Site overview: This is a user-maintained site, with a sandy beach and boat access. Site address: This site is located on the north shore of the Tchentlo Lake, about 1.5 kilometres from the mouth of the Nation River. Additional information: This site is also great for canoeing and fishing, and there is no set number of campsites. Site overview: There are nine campsites available at this popular, family-friendly destination. Amenities: This campsite offers a boat launch, tables, toilets and a wharf, as well as fire rings. Site address: Drive about 39 kilometres north of Prince George and the site is situated about 63 kilometres off the highway, along the North Fraser Forest Service Road. Additional information: This site was recently upgraded and is well maintained. Although the lake is small, many people come out in the summer to enjoy the swimming, fishing and camping this location offers. There is a small beach, and the campground can be accessed with a two-wheel drive vehicle. Site overview: There are two campsites available at this small lake. Additional information: Angly Lake is a small, narrow lake that sits in the hills above Ormond Lake. There is fishing available at this location. Site overview: There are three campsites available at this small destination, situated on the north side of the lake. Site overview: There are eight camping sites at this location, which sits on the Morice River. Additional information: The Morice River is known for its excellent fishing opportunities, and canoers that have moving water experience also find this location desirable. Site overview: There are three campsites available at this small, remote destination. Amenities: Campers can make use of the boat launch here, as well as the tables and toilets. Site address: Starting at Wells, follow the Bowron Lake Road and make a turn onto the 2900 Road. Follow this for nine kilometres. Additional information: This site is great for fishing, and also makes an excellent base camp to tour the Barkerville area and the surrounding back roads. The campsite is accessible by vehicles. Site overview: This popular location has 11 campsites, situated on the north shore of Augier Lake. Amenities: Campers can make use of the boat launch, as well as tables and toilets at the grounds. Site address: Head north from Burns Lake along Babine Road. Drive for about 19.5 kilometres until you hit the Augier Forest Service Road. Turn left onto this road and drive for about four kilometres until you come to the Pendleton Bay Road/Augier Junction. Turn right onto this road and drive for another 5.4 kilometres. Turn right onto the branch road and follow that for about 4.7 kilometres to the site. Additional information: This popular site boasts a beautiful beach and campers enjoy a good swim, picnicking, fishing, canoeing and much more. Amenities: Campers have access to the boat launch, tables and toilets. Site address: Starting in Quesnel, take the Blackwater Road for about 155 kilometres. The site is along the road. Additional information: This camping area is large, open and grassy, and set on the beach. Site overview: There is one site available at this location, which can only be accessed by boat. Site address: This site is located on the eastern shore of Stuart Lake, situated about 13 kilometres from Fort St. James. Additional information: The location is beautiful and offers campers a gravel beach to park their boat, set up camp and swim. Site overview: There are six campsites available at this location, which was upgraded in 2008. Amenities: Campers can make use of tables, toilets, a communal fire pit and a floating dock. Site address: Starting in Fort Nelson, head north on the Alaska Highway and drive for about 15 minutes to Highway 77. Turn right at the Beaver Lake Recreation Site sign on the highway and continue north on Highway 77 to the 10-kilometre marker. Make a right at the Beaver Lake Recreation Site sign and the campground is about 200 metres off the road. Additional information: This site offers day use, as well as camping, and is known as a great fishing location. In 2008, improvements were made to the access road, standardizing the camping pads, upgrading the toilets and adding the fire pit and dock. Site overview: There are 10 camping spots available at this popular location. Amenities: Tables and toilets are available for campers to use. Site address: Drive down Highway 16, east of McBride, for about 10 kilometres. Turn north on the Holmes (Beaver) Forest Service Road and go about one kilometre to the site. Additional information: The McBride Community Forest maintains this site. Site overview: There are nine camping sites available at this busy location, but only two are on the shore of the lake. Site address: From the Likely Highway, turn right towards the Mount Polly Mine. After driving for about 11 kilometres, turn right into the site. This road is used for workers to access the mine, so drive carefully. Additional information: All camping sites are surrounded with trees, which makes this a cooler location in the summer heat. Site overview: There are four campsites available at this small, open location. Amenities: Campers can utilize the car-top boat launch, as well as the tables and toilets on site. Additional information: This campground is set on a large, abandoned mill site. Globalstar This British Columbia free campsite round up was brought to you by Globalstar, distributors of SPOT Gen3, SPOT Trace and SPOT Global Phone. SPOT will keep you connected to the people and things that matters most, including emergency services, using the world's most modern satellite network. For peace of mind wherever remote campsites may lead you, including beyond the cellular grid, pick up a SPOT satellite device. For SPOT product and pricing information visit findmespot.ca. 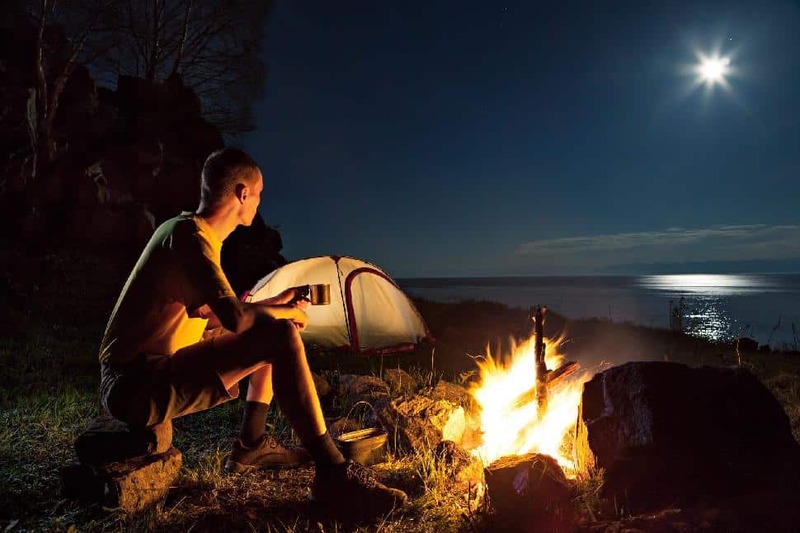 Have you stayed at any of these campsites? Tweet us about your experience here! 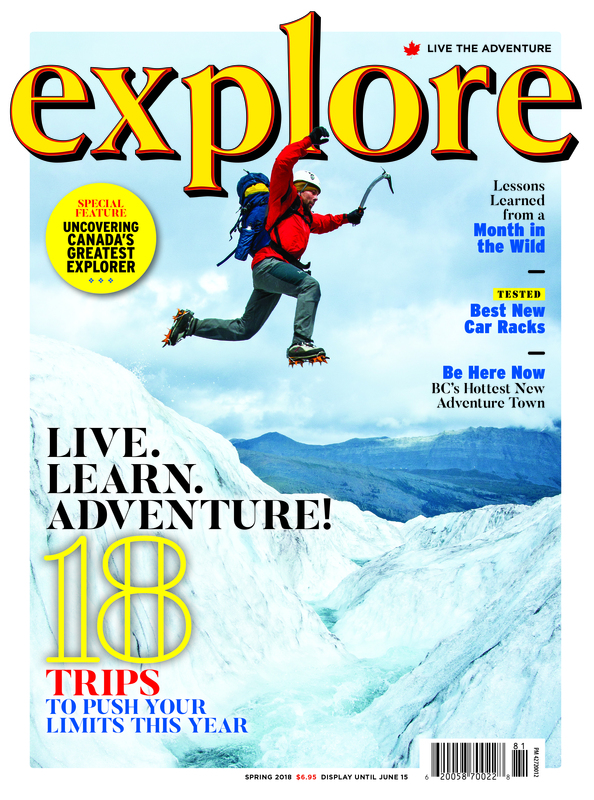 Join over 3,000 subscribers across North America when you sign up for explore magazine’s “Live the Adventure” Club. Do You Have All Your Gear? 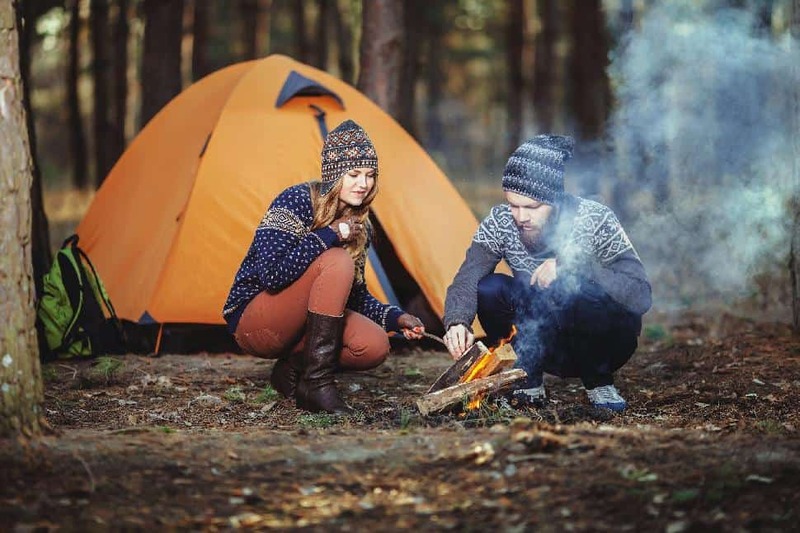 Are you planning a camping trip? 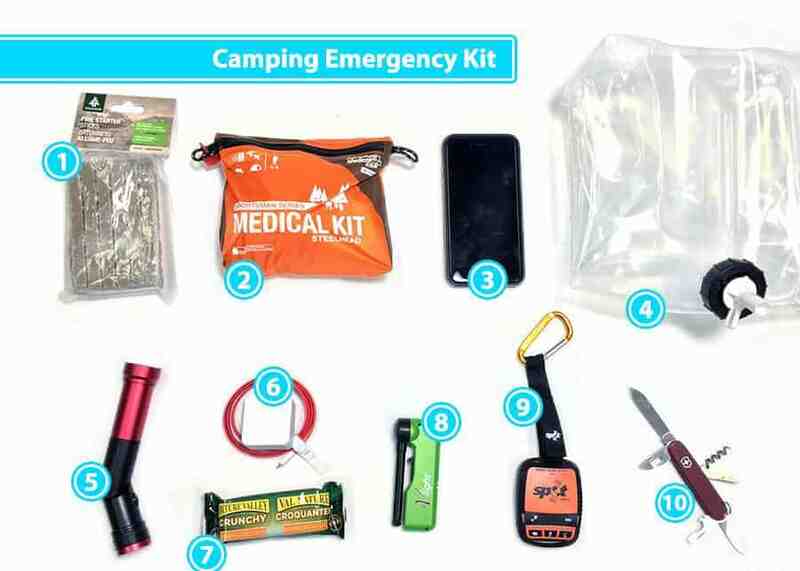 Make sure it goes as planned by following our essential camping gear and supplies checklist. Because there's truly no better price than free.